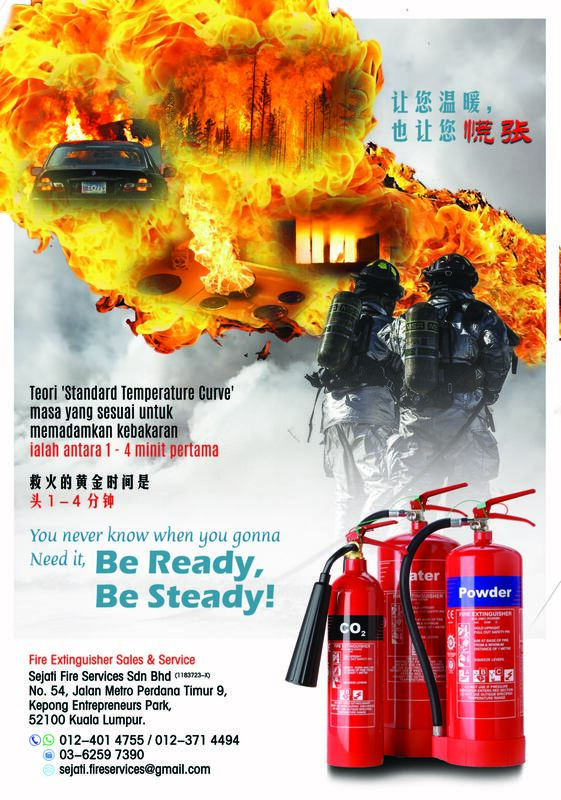 Sejati Fire Services is established as a subsidiary company of Gland Sdn Bhd to supply a complete range of fire extinguishers and firefighting related products. 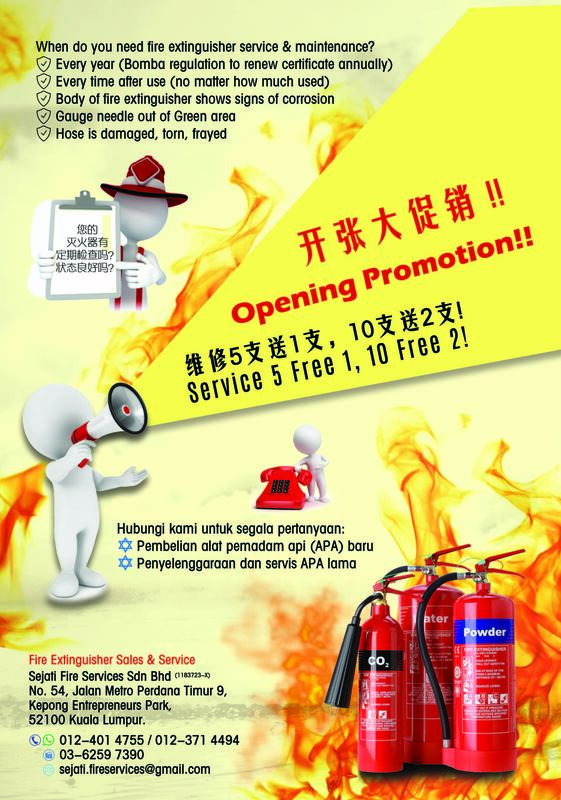 To share the joy of commencement of the business with you, we are having opening PROMOTION! 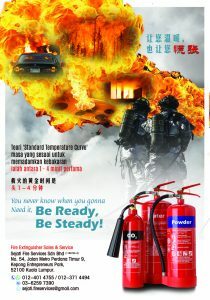 With every 5 fire extinguishers service, we will offer 1 fire extinguisher service FOC. 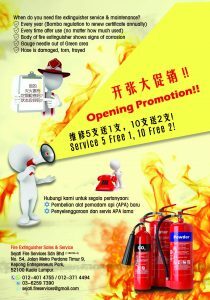 The promotion will last until 31st October 2016. Don’t Miss It! !